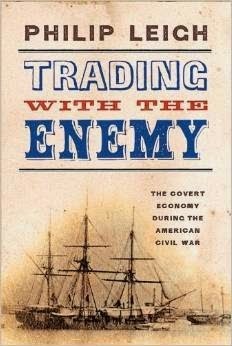 Trading With The Enemy: The Covert Economy During The Civil War, Philip Leigh, Westhome Publications, 183 pp., illustrations, tables, bibliographic notes, bibliography, $26.00. Using clear and concise language, Philip Leigh cogently explains how the world's cotton market on the eve of the Civil War provoked Northern fears of its own economic collapse. In 1860, cotton textile manufacturing was the planet's largest industry and it was dependent on the South. Northern manufacturing and the U.S. export trade was dominated by the annual cotton crop. If the South when it became the Confederacy did not trade with the North then textile mills would become idle and the balance of payments abroad would become unfavorable for North. Yet, the South would also be diminished by a trade embargo with the North. Wheat, corn, pork and a wide variety of manufactured items would be denied the Confederacy. With gold flowing out of the U.S. treasury, cotton became essential because one in Northern hands it could be exported in exchange for credits in Europe. Both Lincoln and Davis realized that inter-sectional trade would exist and very little could be done to prevent it. Davis turned a blind eye to it; Lincoln sought to develop a policy that would cultivate it. The 1862 Port Royal South Carolina effort encouraged African-Americans raised cotton on deserted plantations. The Red River and Olustee military campaigns were conducted to seize cotton. When New Orleans and Memphis fell to the Union both cities became gateway cities for cotton coming out of Louisiana and Mississippi. Also, with the fall of New Orleans the cotton trade migrated to Galveston, Texas and Matamoros, Mexico. Then the French involvement in Mexican politics was moved to the front burner in Seward's State Department. When Norfolk, Virginia and Vicksburg, Mississippi fell into Federal hands, other routes of cotton coming out of the South opened up. Licenses to trade for cotton were granted to Northern merchants who dealt with the commanders of captured cities. It was not a coincidence that Benjamin Butler commanded both New Orleans and Norfolk while serving in the army. The U.S. treasury granted the buyer permits and demanded that those shopping for cotton pay with newly printed greenbacks and not gold. Hopefully, greenbacks would be currency in the Confederacy and undermine Southern home front loyalty. Yet in practice, whichever buyer had gold was the first one in line to buy the cotton made available by military expeditions and planters bring their cotton to market in a Federally captured city. The passage of cotton via blockade runner to the Bermuda and Bahama Islands, as well as Havana, Cuba is thoroughly presented by Leigh. He notes that much of this cotton was taken to Halifax, Nova Scotia, repackaged/rebranded and sold to Boston and New York textile merchants. Did the New England and Mid-Atlantic textile merchants pay in weapons and medicine or know that their payments would be used to buy military arms and medicines? Leigh finds that, in fact, merchants did. Leigh well documents his findings and supports in conclusions. With a writing style that is marked by clarity and precision, he presents information that is unfamiliar to most general readers of Civil War literature. Yet, without a doubt, what the author offers is an articulate and thoughtful re-examination of Northern merchants complicity in a necessary evil, that of trading with the enemy during a civil war. Philip Leigh is a regular contributor to the New York Times Disunion Civil War series and the Civil War Monitor. A professional writer, he holds an engineering degree from the Florida Institute of Technology and an MBA from the Kellogg School at Northwestern University. He most recently edited a new edition of Co. Aytch, or a Side Show of the Big Show by Sam Watkins, also available from Westholme Publishing. Additionally, Leigh edited and added illustrations to Three Months in the Southern States, by Arthur J. L. Fremantle. 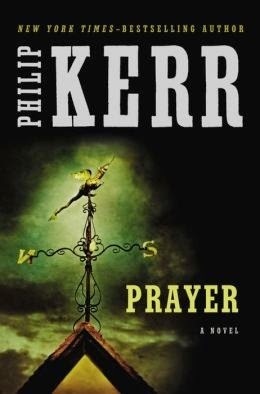 Prayer, Philip Kerr, Putnam Publications, 409 pages, $26.95. Philip Kerr, well known for his nine volume series featuring pre-war, World War 2 and Cold War detective Bernie Gunther, a German, often tackles ethical and spiritual issues in his detective novels and other works. Prayer offers a Scotland born and U.S. raised Gil Martins working on the domestic terrorism cases for the FBI. Beginning with his Scottish first communion, Martins becomes an angry and skeptical Roman Catholic. Marrying an American evangelical and working in Texas, he encounters an assortment of churches and responds to them with a declaration of atheism. Yet, his closest friend is a Roman Catholic bishop who points him to the possibility of a conspiracy relating to the suspicious deaths of outspoken atheists. The possibility of a conspiracy is somewhat confirmed by Martins during his independent investigation and then the FBI, to a very small degree, becomes involved because the deaths occur in several time zones. The stakes are raised because the deaths are not murders but suicides and there is no trace of a killer at the scene of the deaths. Martins' marriage dissolves, his atheism is tested, and Martins comes to grips with the possibility that the evidence is leading him to Old Testament declarations and the possibility that there may be one angel, reserved by God, who carries out judgement. Kerr holds Martins' investigations, Christian faiths, atheism in balance in Prayer and the conclusion is sound and satisfying. The close of novel allows this reader to hope that Gil Martins is heard from again. News---More Acres To Be Added To Gettysburg National Military Park? Others? The Civil War Trust, the nation’s largest battlefield preservation organization, will mark the 151st anniversary of the Battle of Gettysburg by launching a national campaign to protect one of the most important parts of this hallowed battleground. Joining the Civil War Trust for the July 1, 2014 news conference will be officials from the Department of the Interior, National Park Service, and Commonwealth of Pennsylvania, along with the Gettysburg Foundation and other conservation leaders.The news conference will begin at 10:00 a.m., on National Park Service property adjacent to the Lutheran Theological Seminary. Guest parking will be available in designated areas at the Seminary; please arrive early to allow time to access the event site from the parking area. Following the announcement, light refreshments will be available, and historians will discuss the history of the property the Trust is seeking to preserve. Members of the media should contact news@civilwar.org to reserve credentials. Civil War Trust is the largest nonprofit battlefield preservation organization in the United States. Its mission is to preserve our nation’s endangered Civil War battlefields and to promote appreciation of these hallowed grounds. To date, it has preserved more than 38,500 acres of battlefield land in 20 states, including 940 acres at Gettysburg. Learn more at www.civilwar.org, the home of the Civil War sesquicentennial. So You Think You Know Gettysburg? Volume Two, James and Suzanne Gindelsperger, J. F. Blair Publishing, index, heavily illustrated, suggested reading list, appendices, 270 pages,2014, $15.95. Of the 233 entries in So You Think You Know Gettysburg? Volume Two, all but about a dozen feature monuments. Three farms, a cemetery, the cupola, a fence, sets of rocks and a guard shack are quickly described. The monuments are numbered and the 11 maps are quite clear and attractive.The photography is superb. The authors have added a few off-the-beaten paths sites to their itinerary. It is good to see the Lincoln Cemetery for African-Americans and the fence around the Copse of Trees which before the Civil War witnessed the murder of the paramour of Daniel Sickles wife. So You Think You Know Gettysburg? Volume Two is very handy as a 'dashboard book', a hiker's book' or as flash cards for the Gettysburg Licensed Battlefield Guide exam's segment on monument photographs. Forthcoming and Noteworthy-- Did Female Authors Change Pre-Civil War Society's Perceptions of Slaves? In the decades leading to the Civil War, popular conceptions of African American men shifted dramatically. The savage slave featured in 1830s' novels and stories gave way by the 1850s to the less-threatening humble black martyr. This radical reshaping of black masculinity in American culture occurred at the same time that the reading and writing of popular narratives were emerging as largely feminine enterprises. In a society where women wielded little official power, white female authors exalted white femininity, using narrative forms such as autobiographies, novels, short stories, visual images, and plays, by stressing differences that made white women appear superior to male slaves. 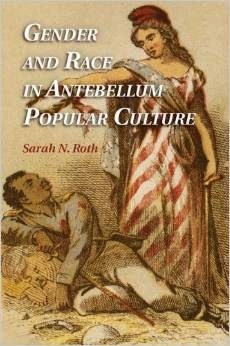 This book argues that white women, as creators and consumers of popular culture media, played a pivotal role in the demasculinization of black men during the antebellum period, and consequently had a vital impact on the political landscape of antebellum and Civil War–era America through their powerful influence on popular culture. CWL: Though pricey for a private collection, your local librarian will be able find you a copy through inter-library loan.